So…poutine. Have you ever had it? It’s one of those dishes that many would refuse to order because it’s not very good for you…Fries + Gravy + Cheese Curds + whatever other ridiculous thing you may want to add (bacon? pulled pork? fried egg? we’re already being sinful, may as well go all out)! 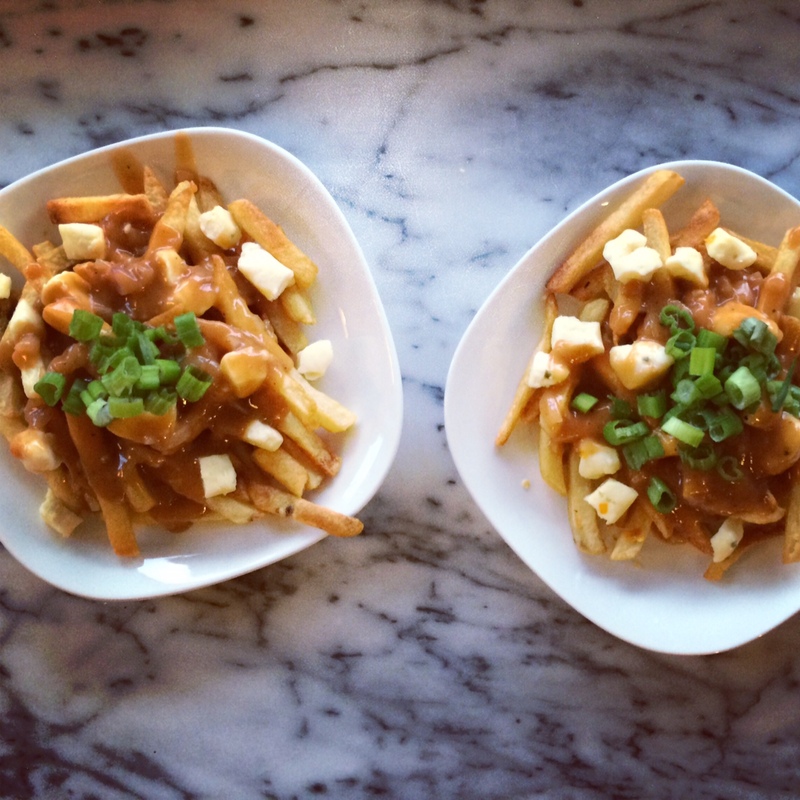 Poutine is a Canadian concoction that has made its way onto menus around the northwest. 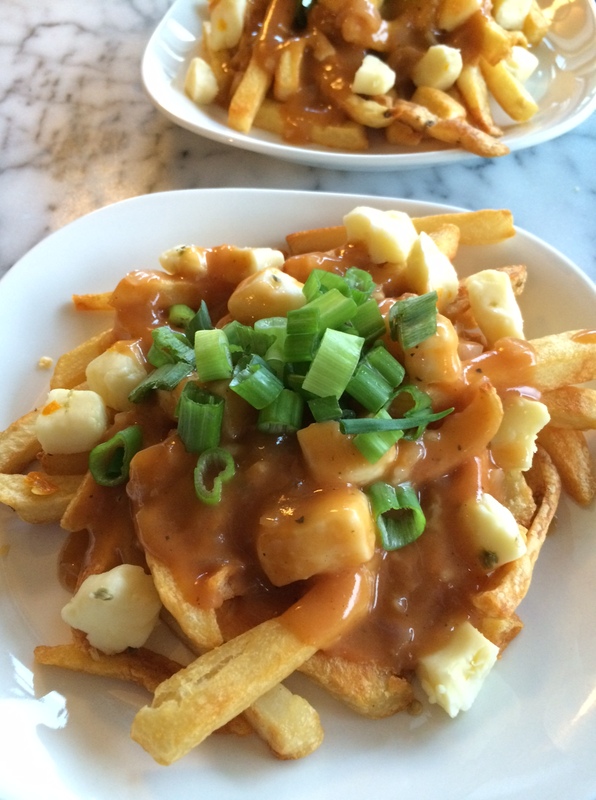 I have had a few different versions…one was lobster poutine on a trip to BC, and it was an awesome decision. There have also been many reviews that Canadian Burger King’s have really good poutine. 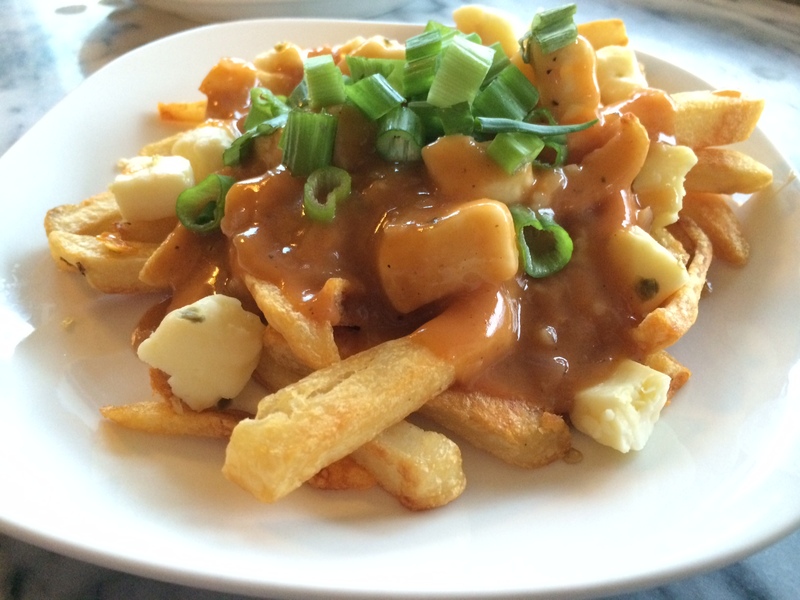 In my opinion – poutine is something you have to try at least once. A few weeks ago, we decided to have an “Around the World” themed birthday party. The rules? Pick a country, dress up like someone from that country, and bring a food or beverage from chosen country. CANADA was our obvious choice, mainly so I could make poutine for a crowd. I chose to make this poutine more “guilt free” (ha) by baking some store bought fries instead of frying them. The gravy is pretty easy to throw together, then all you have to do is buy some cheese curds and green onions and you are ready to get Canadian! 1. Preheat oven according to the directions on the bag of your chosen french fries. Spread fries evenly on rimmed baking sheet. 2. Meanwhile, heat butter in a 2-qt. saucepan or large skillet over medium-high heat. Add flour, and cook, stirring, until smooth, about 2 minutes. Add shallot and garlic, and cook, until soft, about 2 minutes. Add stock, ketchup, vinegar, Worcestershire, and salt and pepper, and bring to a boil; cook, stirring, until thickened, about 6 minutes. Remove from heat, and keep gravy warm. 3. Bake french fries in oven until done to desired crispiness. Dice some green onions. Get those cheese curds ready! 4. Divide fries among serving bowls. 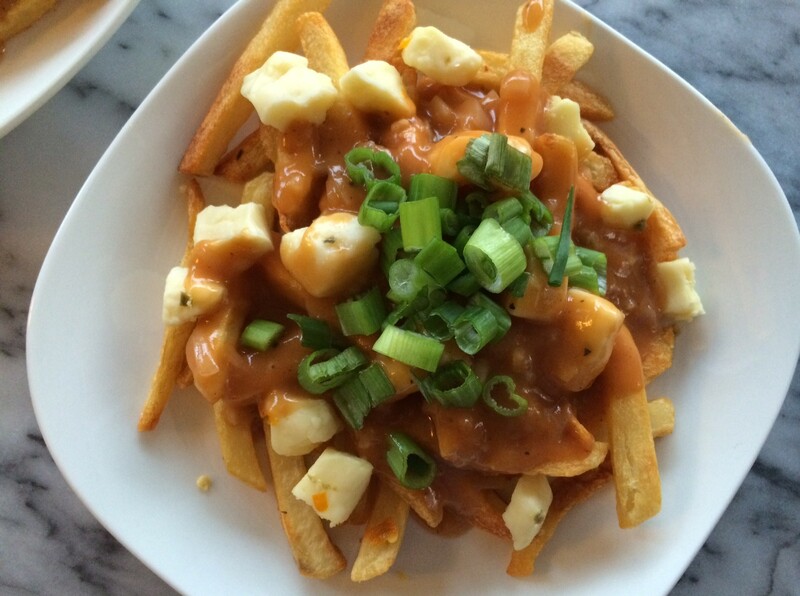 Pour gravy over each serving of fries, and top with cheese curds and green onions; serve immediately.